Mi-T Mist Mouthpiece Cleanser 2oz. Music Nomad MN110 Premium Drum Detailer and Polish, 8 oz. 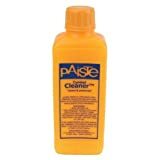 Music Nomad MN111 Premium Cymbal Cleaner, 8 oz. 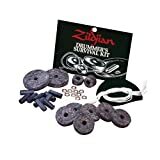 Vinyl cleaner kit that will safely clean vinyl records. 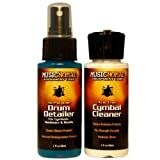 Music Nomad MN117 Cymbal Cleaner and Drum Detailer Pack, 2 oz. 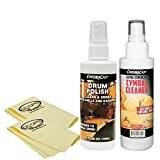 Dunlop 6434 Cymbal 65 Cleaner 4oz.